Three more years of the Shed? Image by Dave Pearce in the Londonist Flickr pool. Baby's ashes stolen in Highgate robbery. Bus crashes into flats near Putney Bridge station. Know your fire plan. New campaign to prompt awareness of escape routes. First impressions of the new homes being built in Battersea Power Station. A one bedroom flat probably couldn't be yours for £1 million. Tate to return Nazi-looted Constable painting. Angry birds: London's flying army of parakeets is forcing out other garden birds. Kate Bush concert tickets sell out in 15 minutes. 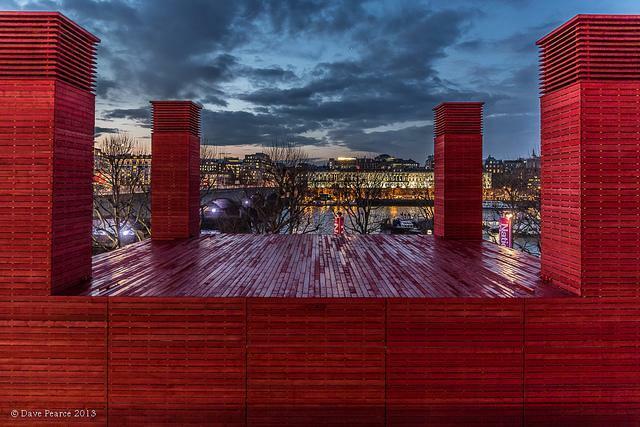 The National Theatre's temporary Shed venue could stick around for three more years.